What fits in your hand as comfortably as a smartphone and allows you to vape any type of material that you wish? The Flowermate Vaporizer! Flowermate Technology is a company that is passionate about changing the way vaping is experienced, creating a number of vaporizers that are both practical and beautiful, delivering a powerful vape that you can be proud to own. The team of engineers, so far delivered a line vaporizers to suit your needs, putting an emphasis on dry herb compatibility. The innovative, Flowermate brand has products that push the limits of technology in portable vaporizing, continuing to lead the way for affordable, high quality devices in the industry. Available in four different styles, Flowermate Vapes allow you to enjoy dry herbs, waxes and oil concentrates all with one device, making any of the kits described below, ideal for anyone. The Flowermate vaporizer collection makes it possible to enjoy vaping on the go with ease. With just one all-in-one vaporizer model, you can enjoy the full flavor of any of your favorite aromatic blends without cords, freeing you to travel anywhere without leaving your vape behind. As Flowermate Review posts testify, these vapes are simple to use and are very powerful. With any of the Flowermate Portable Vaporizer models, you're assured a superior taste and incredibly smooth vapor. That's because every design includes a ceramic heating chamber and a pyrex mouthpiece, keeping impurities and contaminants out of your herbs, wax and oils. These vaporizers are designed to remain at a steady working temperature, so that your first draw of the session is as pleasing as your last one, plus there are four different versions available, ensuring that there is a kit in the collection to suit every budget and taste. With a straightforward, easy-to-use design, all of the models of the Flowermate Vaporizers for sale at VaporPlants.com are easy even for beginners to use, while making more experienced vapor enthusiasts appreciate the high level of vapor quality. The general consensus is that these vaporizers from Flowermate "kick like a horse". They are incredibly powerful and potent and utilize a "slow sip" draw method that really allows the time to build up quality vapor. Customers love the ability to choose temperatures and say that any of the V5.0S models are a great value for the money. These are highly portable and great for everyday use, with a 10 minute shut off feature to help preserve battery life. When using the Flowermate V5.0s, you can enjoy up to 3 hours of vaping time with the smooth taste of vapor produced in a premium ceramic-lined chamber. A Pyrex glass mouthpiece keeps the vapor produced by the wax, oil, and dry herb vaporizer as pure as possible, and the part stores away inside of its hidden compartment to prevent breakage on the go. Filling is simple, thanks to the illuminated chamber that allows you to see clearly when loading. Three temperature settings put you in full control of your vaping experience, plus you can also use this vaporizer as a power bank for charging mobile devices on the go. The V5.0S offers a pure, satisfying experience by bringing together an advanced conductive ceramic chamber with diffused airflow. Airflow is increased with larger air jets and improved screen design. Small and powerful, the V5.0S vape contains 2 batteries, allowing for 2-3 hours of vaping on every single charge. Employing 3 temperature settings, eliminates chances of combustion, while giving greater control over temperature settings; Blue-385℉, Purple-400℉, and Red-415℉. Being without any of the unnecessary features, leaves very little room for error, makes Flowermate V5.0s a great selection for anyone alike. Excelling in affordability, efficiency, plus ease of use, it continues to have a large follow base due to outstanding functionality and true value. When size counts, the Flowermate V5.0s Mini is the perfect solution. Like its big brother, this wax, oil, and herbal vaporizer has a premium ceramic heating chamber, a pyrex mouthpiece, and 3 heat settings to choose from, but it's more compact for easy carrying. As a result, you'll need to load the chamber more frequently, and the battery life is a bit shorter, giving you about 2 hours of vaping per charge. The model offers the same power bank functionality as the original. 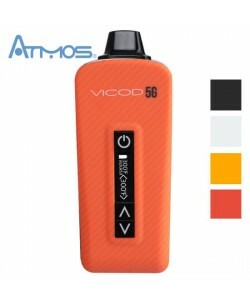 Despite its small design, the V5.0S Mini packs a good punch and produces great amounts of vapor. The ceramic vaporizer chamber gives even and consistent vaping of the materials with pure, satisfying performance as a result of advanced ceramic chamber and airflow. The V5 Mini provides quality performance with an impressive 2 hours of usage before a recharge is needed. It is designed to run at a self-regulated - medium to high - level temperature in order to prevent combustion. Other similar models cause dry herbs to combust, destroying many of herbal key elements, but the Flovermate V5.0S Mini produces pure vapor, without some of the chemicals found when smoking. This edition offers 3 preset temperatures as well: Blue-385℉, Purple-400℉, and Red-415℉. As well well as the glass mouthpiece can be stored in vapes special compartment, making the Mini version even smaller. Impressive battery life with brilliantly simple features – the FlowerMate V5.0S Mini is a definite game changer for the price. Take vaping to the next level with the Flowermate V5.0s Pro handheld vaporizer, as with this model, you will get all of the benefits of the original Flowermate V5.0s but with a few extra perks. Airflow control lets you adjust the resistance for a perfect draw every time, and the unit includes a digital LED temperature display for more precise monitoring. Instead of just three setting options, this wax, oil, and herb vaporizer gives you the freedom to adjust by the degree with temperatures of 104 to 446 degrees Fahrenheit. You'll get 2.5 hours of battery life with each charge lasting for about 10 sessions before you need to re-power. The shell is made from aluminum which gives it sleek look and feel to the V5.0s Pro. Another unique feature of this device is the super fast 8 seconds heat up time powered by 2 rechargeable lithium batteries. The chamber is very similar to the original V5.0s and the vapor delivery is through a glass mouthpiece, with control buttons on the side, featuring a 5 click on/off. The usual charge time for the Flowermate V5.0s Pro vaporizer is arounf 4 hours which then allows for 2.5 hours of vaping sessions. Measures 134mm x 94mm x 45mm, you can use this device anywhere you go. If you want the benefits of adjustable air flow and complete temperature control but in a smaller package, the Flowermate V5.0s Pro Mini is the portable vaporizer to choose. This model is identical to the Pro but more compact for easier carrying. You'll be able to vape for about 40 minutes, or for about four sessions on a single charge with this all-in-one vaporizer. Featuring an impressive digital display and temperature range, V5.0s Mini Pro is one of the best portable designs! While other similar devices featuring temperature controls are bulky and not the most size friendly, this specific model proves that this doesn't have to be the case. With temperature range of 40℃ to 230℃ and a bright OLED display, the Mini Pro is an excellent upgrade of the classic Mini by Flowermate described above on this page. The features, such as the power bank to charge any phone or other devices, as well as an isolated air path for clean vapor, remain present, with a glass mouthpiece included for excellent vaping sessions. Today, you have your choice of four easy-to-use efficient Flowermate vaporizer models: The 2 - 5.0S Vaporizer Minis and the 2 - 5.0S Vaporizers. Deciding which one is right for you will depend on your tastes, your usage preferences, and your budget. The Flowermate V5 Minis are smaller, making them a better choice for someone who is most concerned with having a compact, easy to carry vape. These vaporizers features a 2600 mAh battery that provides roughly 1000 draws before requiring a charge, plus 3 temperature settings: 385°F, 400°F, and 415°F. With the larger Flowermate V5 Vaporizers, you get the benefits of a larger heating chamber that can hold more herbs and slightly larger batteries. The most economical Flowermate vape, the 5.0S can be used roughly for 1500 draws before it will need to be recharged, offering the same 3 heat settings as the original Mini. With Flowermate's outstanding collection of vaporizers for dry herbs and concentrates, there is sure to be a powerful enough model that you are going to love. With a number of features like temperature control and filtration, among others, these powerful vapes are well loved by the vaping community and for a good reason. Love my V5 mini, small, works great! Flawless - Review by Ann W.
Flowermate Mini is flawless and only puts out a little bit of a smell, so I can take this vaporizer with me anywhere I go. Medium to low resistance - Review by Elissa R.
The draw resistance is medium to low, so Flowermate V5s pro feels pretty natural to hit it. I also love that the vaporizer battery life seems to go on forever. Smooth and excellent - Review by Susan J. The Flowermate pro vaporizer with digital screen is my new go-to all day vape. It runs so smoothly and the vapor production is excellent. Small and easy to use - Review by Kathleen W.
These Flowermate vaporizers are powerful, even though they are rather small. The Pro mini vaporizer is great for those who want to try out vaping for the first time, I think, since it is so small and easy to use. Long battery life - Review by Russell M.
The battery life of the Flowermate Vaporizer sticks out to me more than anything. It doesn't take long at all to charge either and so I feel like I am able to really vape any time that I want to no matter what the circumstances. Its nice - Review by Olga J. It feels nice in the hand. Clouds are nice and satisfying - Review by Randolph M.
I love the flavor that the Flowermate vaporizer gives off and the fact that the clouds are nice and satisfying with each hit without them being too large that I am unable to vape the Flowermate Vaporizer in public. Worth every single penny - Review by Sonia H.
It is definitely worth every single penny that I spent on it and I would buy it again in an instant, no questions asked. Quick vape - Review by Earlene J. These vaporizers are durable and very portable vaporizers by Flowermate that is great for those who have never used one or someone who just wants a quick vape. Simple and clean - Review by Rolando E.
I love the Flowermate pro vaporizer and how simple it is to both use it and to clean it. I don't like something that requires a lot of maintenance and that is not something that I have to worry about with the Flowermate Vaporizer, so I really like it a lot. Small cloud of smoke - Review by Latisha H.
A little bit low on the clouds though. Great starter vaporizer - Review by Charles M.
This Pro vape is a great starter vaporizer for anyone who is curious about making the switch. It is really straightforward and easy to use and it definitely does the trick. The battery life is just astounding and the flavor is pretty good. Works great - Review by Helen W.
This Flowermate Pro mini unit works great and gives me the vapor that I want without having to pull so hard on it like other vapes. Easy to hold - Review by Charlie O. It is really easy to hold and carry around the Flowermate Vaporizer so I love that. Would buy this vaporizer again - Review by Rosaria M.
I love that the Flowermate Vaporizer doesn't need to constantly be charging like a lot of other vaporizers seem to do. I would buy this vaporizer again and again because of its battery and because of its immense flavor. The vapor is fantastic and the clouds that it produces shows me that its working on any temperature setting. Really easy to clean - Review by Florence D.
Flowermate 5.0 vaporizer is really easy to use and really easy to clean. It is a long lasting vape whose battery takes no time at all to charge up whenever it dies. I like that the high temperature still does a good job without wasting my vapor and burning my throat. Discreet - Review by Rafael M.
Really discreet and simple to clean up on top of it. Great purchase - Review by Willie B. The Flowermate Vaporizer is a great purchase and I would recommend it for those who want a no frills vaping experience. I picked it up recently and it has become my new favorite vape in no time at all. Great vape - Review by Carol J.
I love Flowermate vape and have used it every single day since removing it from the box. Simple to use vaporizer - Review by Ruby C.
Flowermate is a simple to use vaporizer that is high quality especially for the price. Really great vape - Review by William I. The Flowermate Vaporizer is a really great vape for anyone who wants to get to know their way around a vaporizer. 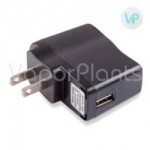 Excellent - Review by Jennie T.
The Flowermate Vaporizer does not burn my throat which is excellent. Right amount of vapor - Review by Jennifer P.
I love that the Flowermate produces just the right amount of vapor. These vaporizers make it easy for me to vape discreetly in public while also being able to get nice fulfilling hits that are satisfying and comfortable. Good clean hit - Review by Donald M.
The chamber is nice and offers a good clean hit. Outstanding flavor - Review by Nancy A. The Flowermate Vaporizer is everything that I was expecting out of a vaporizer and so much more. The flavor of this vape is outstanding and really puts into perspective what I was missing when I was smoking my material before. Recommended - Review by Brian H.
I would recommend the Flowermate Vaporizer to anyone who is currently shopping around and is unsure about what vaporizer they should get. I am really satisfied with my purchase because I love the long battery life of the Flowermate Vaporizer as well as its quick charge up time. Sleek and compact - Review by Charlene W.
It is sleek and compact which is nice. The Flowermate Vaporizer is a good product. It has a smart design that makes its user interface really straightforward and simple to use. I think that anyone who is new to vaping could easily be able to master using the Flowermate Vaporizer. Easy to use - Review by Craig T.
I have never used one like this before so I don't really have anything to compare it to, but I know that it is easy to use which was important to me as someone just starting out. Really great vaporizer - Review by Ryan M.
The Flowermate Vaporizer is a really great vaporizer for both beginners and advanced users all the same. It definitely met my expectations. Perfect vape - Review by Sarah D.
The Flowermate Vaporizer is a perfect vape for my needs. I like to hit a vape a few times during the day and this one is always charged up and ready to go. New favorite vaporizer - Review by Matthew P.
I have only had it for around a week, but it is quickly climbing to the top spot as my new favorite vaporizer. This vape is so well made and does not feel like it is going to fall apart if I accidentally drop it or something. It is cheap, but definitely not cheaply made. Simple vape - Review by Lindsay R.
There are no bells or whistles that a person has to learn about to use it. The Flowermate Vaporizer is really easy to use and really simple to maintain which is important to me. I love how the temperatures are always right and my material is never burned or scorched. It also never catches on fire which is obviously important. Get hot fast - Review by Sidney L.
It doesn't take long to heat up so I am always able to vape whenever I want to vape. Vaporizer + power bank= Flowermate power vape. Pretty revolutionary stuff, the vapors are strong enough for me, I couldn’t ask for more. I purchased the flowermate pro mini a few weeks ago awesome vaporizer. Unfortunately the oven stopped heating, maybe a defect. I emailed customer service and had a new one mailed. Took only 3 days total, now you can't beat that service!. Fast shipping Thanks Vapor Plants! VaporPlants offers the very best help and ships very quickly. I will recommend your Flowermate Vaporizers and your site to everyone I know. Thank you! I have been purchasing vaporizer supplies and accessories for quite some time now. I have been to many online sites, as well as brick and mortar stores. Visiting VaporPlants.com was, by far, the very best experience I have had to date. Your team knows their stuff, and can help anyone (veteran or novice) with questions, concerns, pricing, and the list goes on and on. I will be visiting here quite often because you truly are the best! Thanks! Awesome Customer Service!!! - Review by Mary Ann F.
I am trying to cut down on smoking and wanted to try a vaporizer. I contacted your customer service people and was helped enormously. He helped me find the best models, along with the accessories I would need. I am very, very satisfied with the Flowermate vaporizer I chose, and your super customer care, it means a lot! I had an older model vaporizer for years and decided it was time to buy a new one. I came upon your site, and contacted your customer service to help me make a decision on what to get. As I haven't bought one in years, I'm pretty green to these new models. Your agent went out of her way to explain the different models, sizes, and features. I am so very glad that I found your site; you are all wonderful folks! Thank you. Oh by the way, I went with your V5 Pro Flowermate Vaporizer!